‘Information is Power’, especially in the context of rural India. Our development experience of more than 20 years in rural India has repeatedly demonstrated to us that people who are able to access information, process them effectively and use it to their own benefit are the ones who are more easily able to get out of poverty; the others are condemned to merely cope with poverty. The last few years have also shown us that Right to Information (RTI) Act and processes like Social Audit can be very effective and powerful tools in reducing corruption and forcing good governance practices on public service delivery institutions. 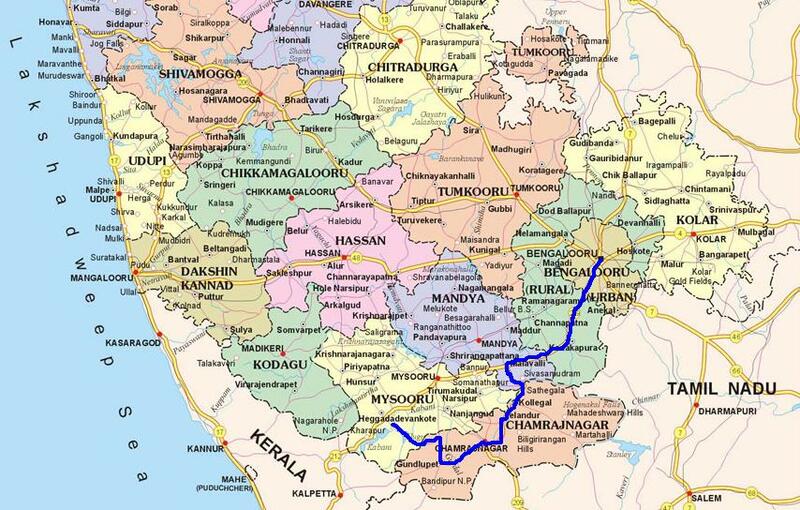 With this in mind, a group of people from SVYM (led by Dr.R.Balasubramaniam) will be embarking on a padayaathre (walk) from Saragur (in H.D.Kote Taluk) to Bangalore – a distance of about 350 km, walking through more than 100 villages, over 30 days. They will interact with atleast 200,000 people along the way and talk about the RTI Act, Social Audit and schemes like NREGA. The walk also aims to create an environment of positivity wherein people will get to believe in the power and goodness of communities and take on the responsibility of cleansing the system instead of merely complaining against it. The walk will begin on the 4th of September, 2008 and will end on the 2nd of October, 2008 (on Gandhi Jayanthi day), traversing through Beerwal, Yediyala, Begur, Gundlupet, Tarakanambi, Chamarajanagar, Yelandur, Kollegal, Malavalli and Kanakapura. The entire team will stay overnight at a village and such night stays have been planned for every 10-12 kms. During these night stays, the team will perform street plays and have group discussions with the villagers on local development issues, besides apprising them about the RTI Act, Social Audit and the NREGA scheme. Pamphlets will be distributed and books on RTI will be sold at a subsidy. A team of youth from different parts of Karnataka will travel on bicycles and will precede the team walking. They will help in mobilizing the people in the villages and prepare them for the ensuing interactions. This whole event will be completely apolitical and will be non-confrontationist in its approach. The entire event will be funded by resources mobilized from the villagers themselves as one walks through the villages. The locals will also be requested to provide food and stay for the walkers. People will be encouraged to walk from their own village to the next. The walk will also serve as an opportunity for the walkers to discover themselves and become aware of their own inner selves. Anybody subscribing to this concept can participate in the walk and they can walk as far and as much as they like. People intending to walk the entire distance will have to inform us beforehand. Contributions for purchase of bicycles and for printing pamphlets and books on RTI Act are solicited.